Always remember that you are in charge of your health and not the doctors. Do not put your life in their hands but first seek God and His health system. UPDATE: This post originally appeared on June 4, 2014. It has been updated with new information, but the original information still is valid. The new research and articles continue to confirm what we originally posted about antidepressants. But this topic is even more important now, because more people are taking or being offered antidepressants, and therefore it was important to bring it to the public’s attention again. In my ministry to heal the brokenhearted, I often encounter depressed people, who think the depression is caused by a chemical imbalance in the brain. 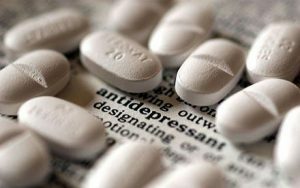 The purpose of the following Commentary and articles are to cut through the propaganda about antidepressants. These are mind altering dangerous drugs. The cause of depression is NOT a “chemical imbalance” which is pure propaganda to promote theses drugs. I am hoping that this presentation will correct this fallacy about antidepressants and help people seek the Lord’s peace and joy, which is the real antidote for depression and anxiety. Antidepressants are being prescribed more and more frequently for “mental health” problems ranging from depression to anxiety to social discomfort. In part, the increase relates to determined advertising campaigns by drug companies, collusion for profit between psychiatrists, drug companies and the FDA, and expanding definitions of conditions that are defined as mental illnesses. More than ever before, general practitioners are the ones prescribing these drugs although surveys indicate that most doctors have no idea of what research has shown since the early 1980s. Literally thousands of studies have been done, including many funded by the NIMH (National Institute of Mental Health), the WHO (World Health Organization) and others. But for the most part, doctors are being “educated” on psychotropic drugs (just as they are for other drugs) by drug companies, who have a profit agenda which leads them to skew data, hide or distort evidence and push doctors to prescribe their particular “treatments”. Since the early 1990s, there has been absolutely NO dispute about whether antidepressants actually help depressed or anxious patients. Up until that point, while the research was fairly clear, there still was some question about whether the hypothesis under which the drugs were prescribed could have some validity. But for over twenty years, there has been no question that these drugs not only don’t alleviate depression but that they are dangerous and often deadly, and the scientific and medical literature reflects that. 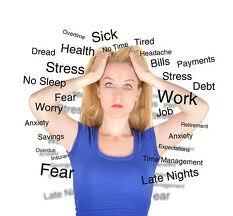 Despite that, it is reported by “common knowledge” that depression and anxiety result from a “chemical imbalance”. How has the public come to accept that as gospel? By the clever and pervasive marketing of drug companies who are making obscene profits from these drugs – in the billions of dollars every year. The truth however, is that they know absolutely that those conditions are NOT caused by any chemical imbalance, and that in fact, these drugs actually cause the depression and anxiety they are supposed to correct. There are a number of articles and videos listed below that discuss what the drugs actually do, in terms of the physical process responsible for their effects. But the underlying reason is that they have fluoride as their base, or main ingredient. Fluoride is a toxin, a poison. Would you or anyone you know willingly swallow poison daily? That’s why this is so despicable. That information has been kept from the public, along with the knowledge that thousands of studies all have verified that there is no such thing as a “chemical imbalance”, and because of that, there is no drug which will cure depression by fixing any such imbalance. Worse is the fact that studies have made clear that not only do these drugs cause those conditions, but that they frequently lead to a real deterioration of mental health with diagnosis moving from depression to manic-depression (bi-polar disorder) after use of psychotropic drugs. Why does this happen? Because these drugs physically alter brain structure, so that once they’re begun, the patient no longer can function normally when they’re withdrawn. With any other drug, that process is known as addiction. But psychiatry has changed the definition of addiction to exclude psychotropic drugs, even though there is no difference in what they do to the body, in terms of constantly needing higher doses and in causing withdrawal symptoms if they are discontinued. At most, what these drugs do is to deaden emotional reaction by causing the Pineal Gland to rapidly calcify. And while some people may have a very short-term sense of improvement (such as for a month) because the drugs use the same mechanism as cocaine in the brain, (cutting off the escape of used serotonin, just as cocaine cuts off the escape of dopamine), after a short time, the body stops making serotonin. This leads to a crash, just as cocaine use does. The person is left much worse off than before and open to real mental health issues from the inhibition of serotonin production. The “benefit”doesn’t last, even in those who claim some relief from such drugs. Instead it gives way to worse problems and is partly what leads to the increasing suicidal ideas in those taking antidepressants. Though the drugs deaden and dehumanize, over time this state gives way to suicidal and homicidal thoughts, as anger begins to grip certain users. Antidepressant use leads to increased violence against others or against themselves for about one-third of users. Is it any wonder there is an explosion of violence, especially among the young who are targeted for use? An examination of recent cases of school shootings and other seemingly random violence on a mass scale invariably reveals that the perpetrator was on antidepressants. The answer to depression, fear, anxiety that grips so many people is the full ministry of Jesus Christ. This means repenting of sin and trusting Jesus Christ as your Lord and Savior. Following this, what is needed is the healing of a broken heart. The broken heart is at the root of depression, anxiety, fear and many more emotions that are destroying a person life. If you want more information about Jesus Christ healing the brokenhearted, please see my website: Jesus Christ Came to Heal the Brokenhearted. 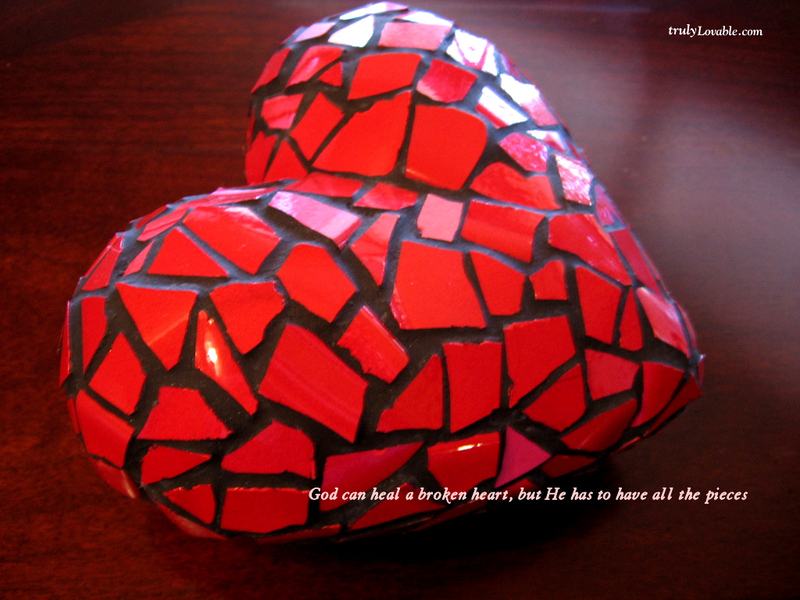 If you would like prayer for a broken heart, please email me at [email protected] and in the subject put, Brokenhearted. We will be UPDATING this post with any new information on the topic as it becomes available. Researchers have found that – contrary to pharmaceutical industry claims – commonly-prescribed antidepressant drugs such as Prozac are actually addictive, and can wreak havoc with the brain’s ability to produce serotonin. 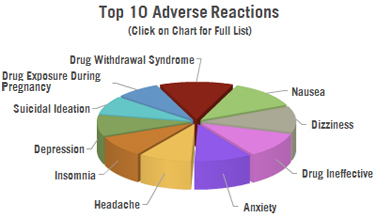 Drug companies and doctors interpret these psychological symptoms of withdrawal as evidence of the return of the original disorder, and so they routinely prescribe more drugs to address the problem. However, the evidence shows that the brain may be unable to return to normal levels of serotonin production for months, or in some cases, even years after antidepressants have stopped being taken. A team of researchers from the University of Liverpool conducted a study of 1,800 New Zealanders who were prescribed antidepressants – mostly of the Prozac type – and found that more than half of them suffered from psychological symptoms when they stopped taking them. “Doctors prescribe antidepressants for a wide range of medical problems other than depression, apparently fueling the boom in sales of these medications, researchers report. Depression accounts for only a little more than half the antidepressant prescriptions issued by Quebec physicians during the past decade, the Canadian study found. Doctors also issued antidepressants to treat anxiety, insomnia, chronic pain, panic disorders, fibromyalgia, migraine, obsessive-compulsive disorders, and a host of other “off-label” conditions for which the drugs are not approved, according to the report. Two out of every three non-depression prescriptions for antidepressants were handed out under an off-label purpose, the findings showed. “New data from the Centers for Disease Control and Prevention (CDC) shows a significant jump in the suicide rate in America in the years from 1999 to 2014. The rise has been particularly sharp among women and girls. 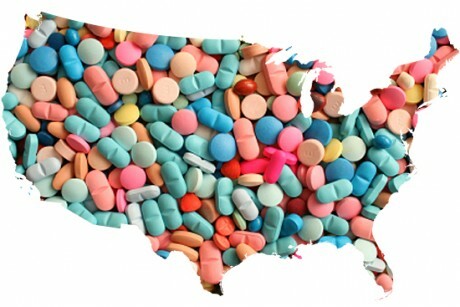 Is it any coincidence that the percentage of Americans who take antidepressants nearly doubled during the same period? Some parties with vested interests in Big Pharma are trying to blame this increase on the “black box” warning labels that were introduced by the FDA in 2004. These labels warn that the drugs increase the suicide risk in young adults and children, and some people are saying that these warnings are scaring people away from taking antidepressants and that is the real cause of the rise in suicide. However, it’s important to take a look at exactly who is saying this. For example, the American Foundation for Suicide Prevention (AFSP)’s Christine Moutier has not been shy about blaming the warnings for suicides. Her motivation is clear: Her organization, the AFSP, has financial and other connections to pharmaceutical companies, a fact that was not disclosed when CNN quoted her criticism of the labels in a recent piece. “Prescription drug overdoses have become alarmingly common in the U.S., with opioid painkillers, such as Vicodin and Oxycontin, among the drugs most frequently making headlines. “The number has quadrupled over the past two decades. More Americans than ever are overdosing on anxiety drugs, researchers reported Thursday — and it’s not clear why. The new study finds not only that more Americans are taking the drugs, which include brand names such as Valium and Xanax, but that they’re taking more of them. But while the quantity of prescriptions filled tripled between 1996 and 2013, the number of overdoses quadrupled during the same period, the team reported in the American Journal of Public Health. 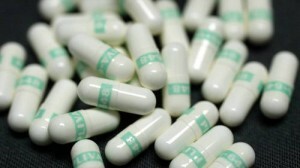 A single dose of SSRI antidepressants such as Fluoxetine, shown here, can change the brain’s functional connectivity within three hours, a new study found. Antidepressants rapidly alter brain architecture, study finds 09/18/14 Although advertising has downplayed or covered up the fact that antidepressants physically alter brain structure so that the person taking them becomes increasingly unable to function without them, a new study gives startling evidence of how rapidly that occurs. “A single dose of a popular class of psychiatric drug used to treat depression can alter the brain’s architecture within hours, even though most patients usually don’t report improvement for weeks, a new study suggests. More than 1 in 10 adults in the U.S. use these drugs, which adjust the availability of a chemical transmitter in the brain, serotonin, by blocking the way it is reabsorbed. 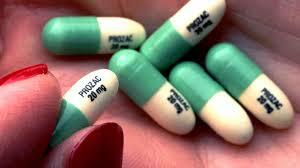 The so-called Selective Serotonin Reuptake Inhibitors, or SSRIs, include Prozac, Lexapro, Celexa, Paxil and Zoloft. [A] discovery in the late 1990s [showed] that low-frequency brain signaling during relative inactivity, such as daydreaming, is a good indicator of functional connectivity. When more serotonin was available, this resting state functional connectivity decreased on a broad scale, the study found. This finding was not particularly surprising — other studies have shown a similar effect in brain regions strongly associated with mood regulation. “Older adults who habitually use sedatives for anxiety or insomnia may have a heightened risk of developing Alzheimer’s disease, a new study suggests. That’s despite the fact that guidelines call for only short-term use of the drugs, at most. In 2012, the American Geriatrics Society (AGS) put benzodiazepines on its list of drugs considered “potentially inappropriate” for seniors, because of risks like confusion, dizziness and falls. Antidepressant use during pregnancy may lead to childhood obesity, diabetes 06/21/14 Research indicates that children may be predisposed to develop type 2 diabetes and obesity later, if their mothers took antidepressants while pregnant. 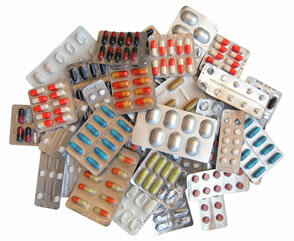 Up to 20% of pregnant women are being prescribed these drugs at present. The study linked fluoxetine (or fluoride). One in five American women suffer from depression during pregnancy and are prescribed antidepressant medication. The Holy Spirit – Or Serotonin This is part one of a three-part series by columnist Stuart Goldman, who had been diagnosed as bi-polar 25 years earlier. He notes that for many years he had taken medication but still often found himself unable to leave the house or to do anything else. He dreaded facing each day because thoughts of the challenges to be faced filled him with anxiety. One morning he got up and found a King James Bible and began reading as the coffee brewed. Suddenly it was as if the words were meant just for him; they seemed to leap off the page as he read and he had a new understanding of the Scriptures. It no longer seemed like a foreign book. When he next looked at the clock, he found he’d been reading for 10 hours. It occurred to him that he hadn’t taken his medication but he had no anxiety. The next day was the same and so he decided to go without it, thinking that if a problem did arise, he always could start taking it again. But the problem never returned. God’s Word is healing to both the body and the spirit and Goldman found the truth of that as he looked to God instead of to pharmaceuticals, which by his own admission often did nothing to relieve his symptoms, let alone make him whole. As of the date of this post, parts 2 and 3 have not yet appeared. But they should be accessible from this link to part 1 when they are published. The Most Effective Treatment for Depression Isn’t Drugs… But You’ll Never Hear That From Your Psychiatrist This site provides a synopsis of the interview (linked below) by Dr. Mercola of Robert Whitaker. There also is a link to download the entire transcript of the interview. Whitaker is very knowledgeable about both the history of mental health treatment in America and about current treatments, including the development of modern psychotropic medications. …Most of you have probably heard that depression is due to a “chemical imbalance in your brain,” which these drugs are designed to correct. Unfortunately for anyone who has ever swallowed this marketing ploy, this is NOT a scientific statement. (YouTube video) Dr. Mercola interview with Robert Whitaker This interview of Robert Whitaker by Dr. Mercola is in 7 parts and runs just over an hour. The link is to the playlist so the separate parts will play in sequence without interruption. Whitaker is probably the premier American journalist on matters of mental illness. He was a finalist for the Pulitzer Prize in 1998 for his book, “Mad in America: Bad Science, Bad Medicine, and the Enduring Treatment of the Mentally Ill,” which traces the history of mental health treatment in America and exposes not only historic but modern mistreatment of the mentally ill by psychiatry and the drug industry. The Truth About “Schizophrenia” & Fixing Chemical Imbalances (YouTube video) Although this short clip featuring Robert Whitaker, taken from a film on Schizophrenia, focuses specifically on drugs and treatments geared toward that disease, the same statements can be made about treatments for depression. The literature demonstrates that there is little difference between pharmacological methods for either problem in terms of outcomes, side effects, etc. and in the culpability of drug manufacturers who know the statements they distribute through advertisements are untrue. 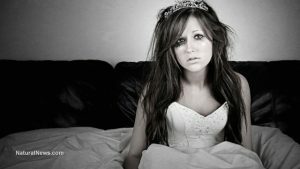 SSRI antidepressants destroy your brain – seroxat, paxil, lexapro, celexa. zoloft, luvox (YouTube video) An explanation of how antidepressants work and the consequences that can result in less than a month. CCHM website– (Citizen’s Commission on Human Rights) A Watchdog Investigating and Exposing Psychiatric Human Rights Violations. The best site, bar none, for information on the mental health system, the pharmaceutical industry and all aspects of modern psychiatric treatment. They have numerous publications, public service announcements, links to take action, and excellent, comprehensive, factually accurate documentaries. The Age of Fear: Psychiatry’s Reign of Terror The history of psychiatry, filmed in Germany and Austria. They were a real force for supporting Hitler and his agenda. Diagnostic and Statistical Manual: Psychiatry’s Deadliest Scam Examines the (mostly political) basis for the listing of mental disorders in the International Classification of Diseases that is used throughout the world. ALL these drugs have serious impact on the brain. Paxil Study 329 (YouTube video) This is a posting of an episode of the BBC program, “Panorama” (similar to 60 Minutes in the US). At issue are the deceptive reports from clinical trials and the willful marketing of Paxil by GlaxoSmithKline, despite their knowledge of the drug’s ability to cause homicidal/suicidal behavior, as it came to light in lawsuits against the Paxil manufacturer for wrongful death. McMan’s Depression and Bipolar Web: Antidepressants – The Dark Side A blog site discussing the cases behind the “Paxil Study 329” Panorama investigation. 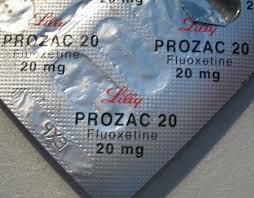 Prozac is based on Fluoxetine! “Prozac may represent an archetypal example of how fluoride affects the personality/soul. This drug (chemical name fluoxetine) is approximately 30% fluoride by weight and marketed as an “antidepressant,” even while a major side effect of its use and/or withdrawal is suicidal depression… Fluoride and fluoxetine, in fact, may accomplish their intended “therapeutic effects” by poisoning the pineal gland. Animal studies confirm that when mice have their pineal glands removed they no longer respond to fluoxetine. Anti-Depressants and Fluoride Not only are they hiding what actually is in these drugs (and for good reason) but they are knowingly causing increasing mental health problems in the population at large. Would anyone take a “remedy” for depression and/or anxiety in which the primary ingredient is a known toxin? Given all of that, why would these drugs be pushed so heavily, not only by drug manufacturers, but also by members of the medical profession, who by and large get their education about various drugs from the manufacturers? Profit. ScienceLab Material Safety Data Sheet on Sodium Fluoride Hazards of and first-aid information for Sodium Fluoride, verifying its toxic nature. A recent United Kingdom meta-analysis of 47 clinical trials found that antidepressant drugs provide almost no benefit to the people taking them. The alternatives… include exercise, talk therapy, interpersonal therapies, and counseling. In other words, activities that naturally stimulate and invigorate the body and mind are increasingly being seen as the first line of defense against depression. How we ended up in this position may be explained by a line within the pages of … “Listening to Prozac,” [which] suggested that anyone who is lacking “joy juice” might give themselves a dose of the “mood brightener” Prozac. …However, given the results of the study, it is only reasonable to infer that some people who were prescribed antidepressants for depression were perhaps dealing with life’s ups and downs, daily routine, and other non-clinical stressors. If depression is caused by situational unhappiness, antidepressants alone will absolutely not help. Antidepressant Drugs Don’t Work – Official Study This is a very good article that unequivocally states that both the medical profession and the general public have been sold a bill of goods. It deals with an analysis of 47 combined studies in the United Kingdom and it also discusses treatments which do work for depression, all of which were common in the past before the introduction of SSRIs and which have none of the serious problems that the drugs have. They are among the biggest-selling drugs of all time, the “happiness pills” that supposedly lift the moods of those who suffer depression and are taken by millions of people in the UK every year. But one of the largest studies of modern antidepressant drugs has found that they have no clinically significant effect. In other words, they don’t work. The finding will send shock waves through the medical profession and patients and raises serious questions about the regulation of the multinational pharmaceutical industry, which was accused yesterday of withholding data on the drugs. …The pharmaceutical companies had withheld data that was available to the licensing authorities so that doctors and patients did not understand the true efficacy, or lack of it, of the drugs. “A University of Liverpool researcher has shown that thoughts of suicide, sexual difficulties and emotional numbness as a result of anti-depressants may be more widespread than previously thought. In a survey of 1,829 people who had been prescribed anti-depressants, the researchers found large numbers of people — over half in some cases — reporting on psychological problems due to their medication, which has led to growing concerns about the scale of the problem of over-prescription of these drugs. … “Effects such as feeling emotionally numb and caring less about other people are of major concern. 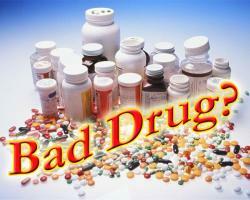 Our study also found that people are not being told about this when prescribed the drugs. 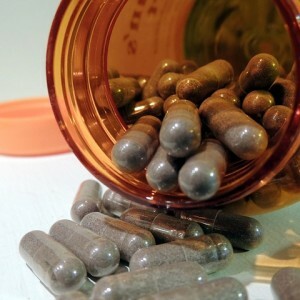 “• Eleven percent of Americans aged 12 years and over take antidepressant medication. • Females are more likely to take antidepressants than are males, and non-Hispanic white persons are more likely to take antidepressants than are non-Hispanic black and Mexican-American persons. • About one-third of persons with severe depressive symptoms take antidepressant medication. • More than 60% of Americans taking antidepressant medication have taken it for 2 years or longer, with 14% having taken the medication for 10 years or more. • Less than one-third of Americans taking one antidepressant medication and less than one-half of those taking multiple antidepressants have seen a mental health professional in the past year. “Robert Whitaker investigates a medical mystery: Why has the number of disabled mentally ill in the United States tripled over the past two decades? Every day, 1,100 adults and children are added to the government disability rolls because they have become newly disabled by mental illness, with this epidemic spreading most rapidly among our nation’s children. What is going on? 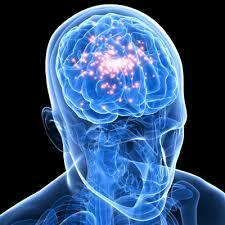 …Do psychiatric medications fix “chemical imbalances” in the brain, or do they, in fact, create them? Researchers spent decades studying that question, and by the late 1980s, they had their answer. Readers will be startled—and dismayed—to discover what was reported in the scientific journals. Prozac is not the answer but a healed heart by Jesus Christ is. Listening to Prozac: The Landmark Book About Antidepressants and the Remaking of the Self, Revised Edition This site says the book is available as a download for free. While the book provides a thorough exploration of character changes from Prozac and what these changes say about the nature of “the self” it is not entirely objective in its conclusions. “This 1993 book helped introduce Prozac—which had hit the market five years earlier—and other antidepressants known as SSRIs. A psychiatrist, Peter D. Kramer, recounts the effect the drug had on some of his patients. Combining antidepressants: a review of evidence A professional journal from the UK, “advances in psychiatric treatment”, reports on the use of multiple drugs given concurrently or in combination with other classes of psychotropics. This article examines the efficacy of the approach, along with side effects and toxicity of these combinations. Optimising antidepressant use by attempting to ensure that patients take an adequate dose for an adequate length of time with measures to improve concordance is the first strategy recommended for managing incomplete response. Antidepressant Use Soars Among Deployed Just as the use of antidepressants and sleeping pills have soared in the general population, so too has their use risen in the military, especially among those stationed in Afghanistan. Among troops in Iraq, use is about 12%, while those in Afghanistan have a higher rate of roughly 17%. Given what is known about the side effects and the incidence of depression turning into bipolar disorder from the use of these drugs, what is the impact on our level of military preparedness, to say nothing of the effect on individual soldiers? Recently there have been attempts by the government to label veterans, along with other right-wing groups, as “terrorists” who are unfit to possess guns once they’ve returned to civilian life. Could it be that the use of these drugs is allowing that designation to be supported by a factual basis, if only in a small percentage of vets? All it would take is some well-publicized incidents involving these soldiers for the government, through the media, to make a case for this position and turn the public perception of veterans. A recent article in “Stars and Stripes” lays the groundwork, and notes that the drugs are necessary to keep soldiers in the field because of the strains being put on them. They neglect to mention that those strains caused by social engineering, rules of engagement that favor the enemy, and excessively long or repeat tours of duty are the things creating extraordinarily high stress levels in the first place. And the remedy for this stress is antidepressants and sleeping pills, something the government knows (from studies by the NIMH and others) have no beneficial effects, but instead cause many of these soldiers to develop chronic or increased mental health problems. Rather, the military alleges that, “escalating violence… and more isolated missions”, have caused the increase use. But can it be mere coincidence that suicide rates are going through the roof, compared to those of past generations? This past year, for the first time, the number of deaths from suicide actually surpassed the number of deaths from combat. That should alarm us all. “For the first time in history, a sizable and growing number of U.S. combat troops are taking daily doses of antidepressants to calm nerves strained by repeated and lengthy tours in Iraq and Afghanistan, according to a report in Time Magazine. The Hidden Enemy: Inside Psychiatry’s Covert Agenda On the drugging of our military and the huge increase in suicide among troops. This phenomenon is fully explored in a new documentary from CCHR, (The Citizen’s Commission on Human Rights), The Hidden Enemy. It can be watched online for free at the CCHR website. Your physical and mental health is very important, but of even greater importance is your spiritual health. Man suffers from a fatal spiritual disease called sin, which always leads to death. Now the Great Physician wants to heal your broken heart. Georgann, you’ve done an excellent job with this blog. The format is beautiful and the articles in plain language. Thanks for all you do!